“Wonderful, entertaining and original”: book written by children from Dominica gets high praise from leading UK children’s book critic. Teachers, educationalists and friends of Papillote Press were welcomed to the Professional Centre, the teaching resource centre for Wandsworth Council in south London, on Wednesday February 3rd 2100 to celebrate the launch of The Snake King of the Kalinago, the new children’s book from Papillote Press, a tiny publishing company specialising in books from Dominica. The text was written by Year 6 children of Atkinson School, Dominica, in the eastern Caribbean. A welcome address was given by Dominican Kathy Casimir MacLean, head of the Ethnic Minority Achievement Service in Wandsworth. Kathy explained how the book came to be written while Polly Pattullo of Papillote Press showed some slides of the launch in Dominica, held last month at the Old Mill Cultural Centre. Mrs MacLean then read the poem Aximu’s Awakening by PamelaMordecai. Agnes Adonis, the acting High Commissioner of the Commonwealth of Dominica, also attended the launch and spoke of her pleasure at the publication of the book. The guest speaker was Julia Eccleshare, co-director of the Centre for Literacy in Primary Education and children’s book editor of the Guardian newspaper in London. Ms Eccleshare said that the book was ‘wonderful, entertaining and original’. She said that myths played a key role in unifying people and giving them a sense of identity; it was important for children to recognise their own identity in books. Three schools in Wandsworth are now partnered with primary schools in Dominica. Children from two of the Wandsworth schools have already written reviews of the book and illustrated the story; these were on display at the launch. All primary schools in the borough of Wandsworth will receive sets of the book. 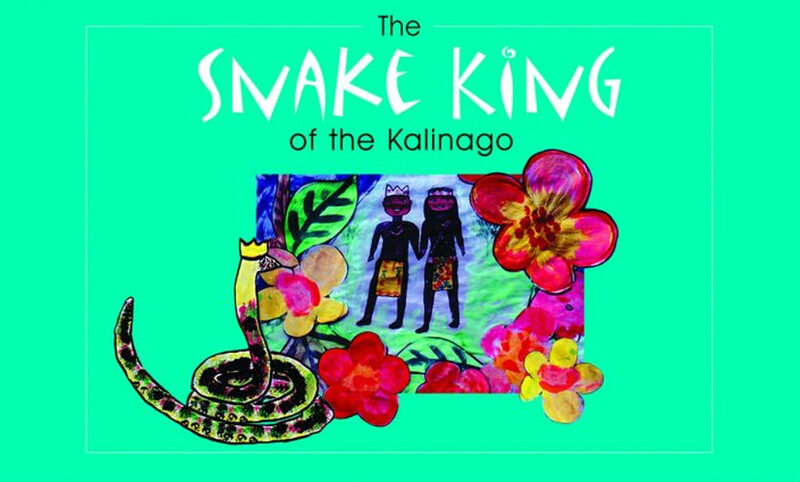 The Snake King of the Kalinago is available in bookshops in the UK and online (price £3.99). Orders of 10 or more will be available at a reduced price from the publisher.